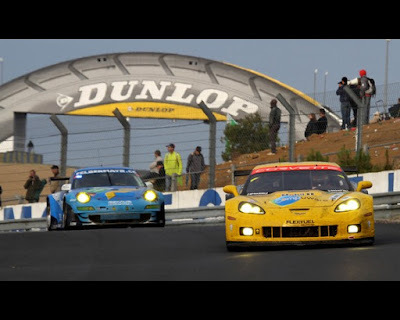 LE MANS, FRANCE – For Louis Chevrolet, the founder of Chevrolet, “Never Give Up” was more than a motto, it was a testimony to his faith in God. 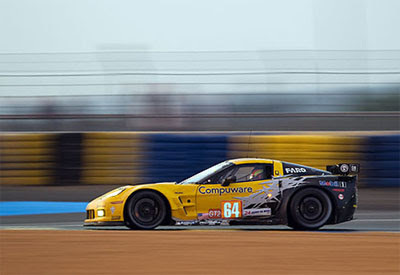 His testimony was evident this past weekend as the men and women of Corvette Racing pushed hard to win the GT-E class victory at the 24 Heures du Mans. In the sixteenth hour of the race, the dominant #74 C6R piloted by Magnussen/Gavin/Westbrook was retired due to an accident while running in first place. The mood was gloomy in the garage following the news of the retirement of their best chance for a win. But the effort of the team was quickly focused on the #73 Corvette driven by Beretta/Garcia/Milner. By hour 21, the Corvette was solidly in the lead. "That was the hardest drive of my life," Milner said. "It would have been a lot easier if it wasn't sprinkling, raining, not raining, and then wet - all that plus the pressure of the situation. I'd been super comfortable in the car all day long, but I was not comfortable right then. I was just trying to drive the car to what the track would allow. Every lap it changed, every corner it changed." The motto was also evident in the effort of the mighty Audi R18TDIs as they battled against the 4 Peugeot diesel 908s. Though the Audis have won ten of the last 12 Le Mans races (and one of those they missed was to the Bentley 8 in 2003 with Team Joest’s assistance), the past few years have been tough as the Peugeot diesels have brought a formidable challenge. With three works entries and a fourth by Oreca/Matmut, Peugeot came intending to win the race on the native soil of France. 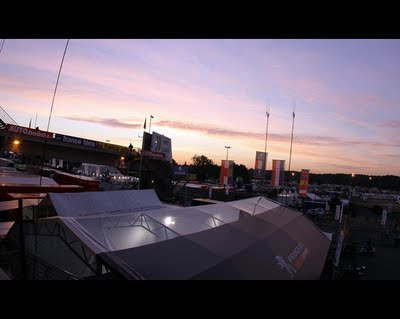 Within the first hour of the race, the lights seemed to dim on Team Joest. As Alan McNish tried weaving the #3 Audi through some slower traffic, he made contact with a Ferrari and was thrust uncontrollably into a tire barrier. The resultant accident (video) was terrifying as the Audi flipped several times causing debris to rain upon the photographers and corner workers behind the barrier, landing upside down on the grass. 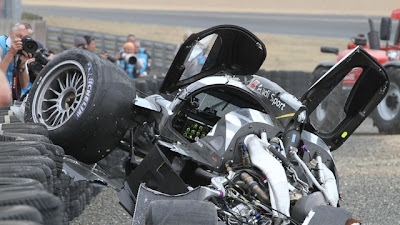 By the grace of God, McNish was pulled from the car unhurt and the debris missed the hitting the bystanders. 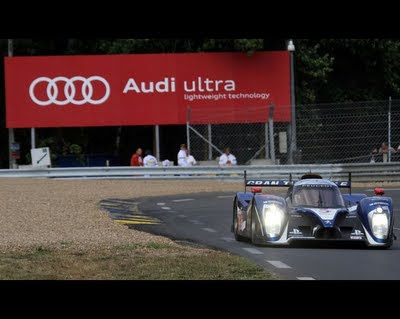 Five hours later, the #1 defending race winning Audi piloted by Rockenfeller slammed into a wall at the Mulsanne kink while overtaking a Ferrari. Again, by God’s grace, Rockenfeller avoided serious injury in the spectacular crash. With 2 of the 3 Audis on the sidelines, it appeared that the Peugeots would certainly out survive the lone #2 Audi of Treluyer/Lotterer/Fassier. To win, Audi needed to execute a clean, error free race, yet to take chances when necessary. The strategy paid-off as the Audi completed the race 13-seconds ahead of the #9 Peugeot. "We did five stints on one set of tires," said Dr. Wolfgang Ullrich, Head of Audi Motorsport. “The strength was in our strategy, and it helped us go against Peugeot. The tires were strong but we questioned how they could do the stints. At the end, the drivers did five stints and it was not too difficult to drive the car... We had to take every risk, we did so, and we won. We have a big team that worked the strategy and made the right choices." Peugeot finished strong claiming 2nd, 3rd, 4th, and 5th (Oreca) place finishes. To cap off the celebration of Chevrolet’s 100th and the 10th anniversary of Corvette Racing’s first win at Le Mans, the C6R Corvette Larbre Competition claimed the GTE-Am class win ahead of the team’s GT3 RSR. And another honorable mention goes to Burns customers David and Andrea Robertson who celebrated their wedding anniversary on the podium piloting their Robertson Racing Ford GT to a well-deserved third-place result in class. It marked the first ever husband-and-wife duo to finish on the podium at Le Mans. 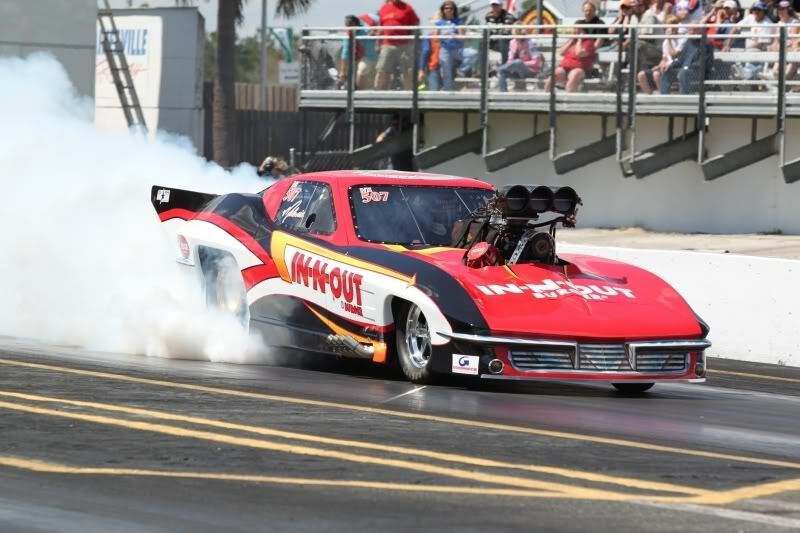 Though taking unnecessary chances, Mike Neff took top-honors in Funny Car paired up against Cruz Pedregon in the final round. Neff’s Castrol GTX Ford Mustang went 4.071 at 314.09 mph which was more than enough as Cruz red-lighted. “I knew he red-lighted,” said Neff. “I was sitting there waiting for the Tree to come down, and I heard him leave and knew he red-lighted because the Tree hadn’t come down yet. I looked over and saw that his bulb was red, then I looked up and saw our win light on. By that time, I had already hit the gas and was taking off and saw our win light on. I wanted to see what it would run, then I was saying ‘Don’t drive over the centerline or something.' Wouldn’t you lose if you did that? Yeah, maybe I should have lifted.” It appears that Mike lives by the motto “never-lift.” We know why Neff get’s along with John Force so well! As usual, Pro Stock was especially competitive. So competitive in fact that legend Warren Johnson failed to qualify! Last week’s winner Shane Gray qualified second, but was taken out by Greg Stanfield in the first round. Shane was a little late at the light and was never able to catch Greg though he ran a blistering 211.03 mph top speed run. Stanfield made it to Round 3 before losing to Allen Johnson by a mere 4 feet! 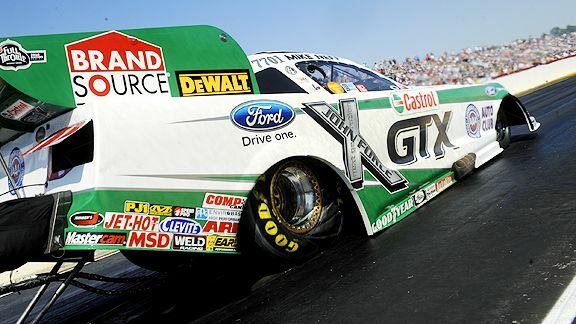 The Nitrofish GXP ran a 6.559-second 210.87 mph run against Johnson’s-6.555 second 210.70 mph. Dang it was close! In the Final round it was all Dodges with rookie Vincent Nobile going against Allen Johnson. Though Nobile ran 6.618 second e.t. against Johnson’s 6.689 seconds, the rookie was a little too quick at the line posting a red light. Johnson was not a bit dismayed at being slower than the rookie since he supplies Nobile with engines. “I’m very proud of our engine guys and Mark [Ingersoll, crew chief], who makes the tuning calls. 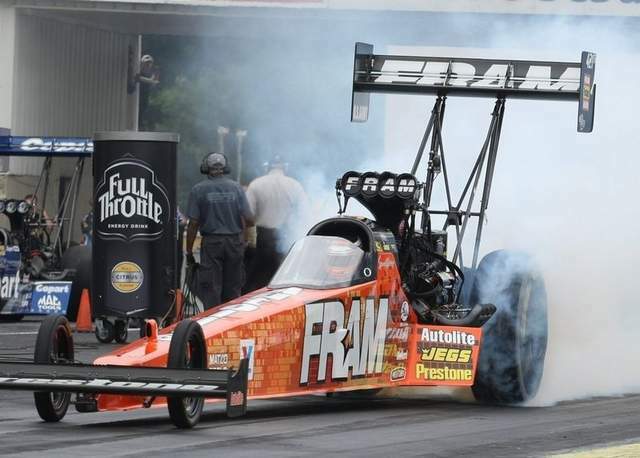 Vincent is a fierce competitor, and I’m sure we’re going to tangle a few more times before this is over.” No one can accuse Johnson at holding back the good engines. Pro Mod seemed to have the “prettiest” pits with Melanie Troxel and rookie Leah Pruett-Leduc. After several successful test runs in the RoadRage.com Camaro, Pruett-Leduc, made her Pro Mod Series debut. 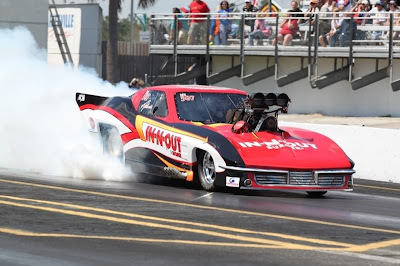 "Pro Mod is the most difficult car I've ever driven," said Pruett-LeDuc, the reigning Nostalgia Funny Car champion. Though top qualifier and new National record-holder, Troxel’s ’53 Corvette was taken out early in the first round by Dennis Radford. Unfortunately, Radford car came across Troxel’s lane hitting the left wall. The crew was able to get Radford’s car to the start of Round 3. 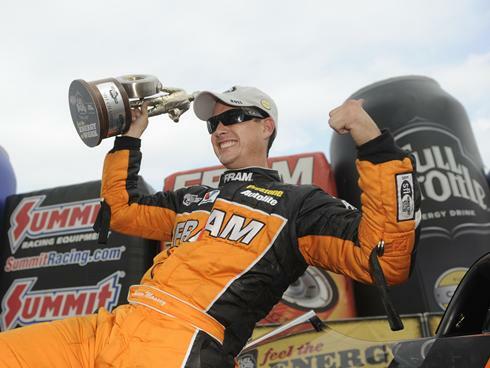 Pruett-Leduc made it to the second round before losing to Mike Castelana. The show was won by Danny Rowe in his ’68 Camaro. Alas, Where Better To Gamble Than Monte Carlo? MONTE CARLO, MONACO – With such a remarkable weekend in racing including the Indy 500, the Charlotte 600 and the Monaco Formula One race, how does one choose which to blog? 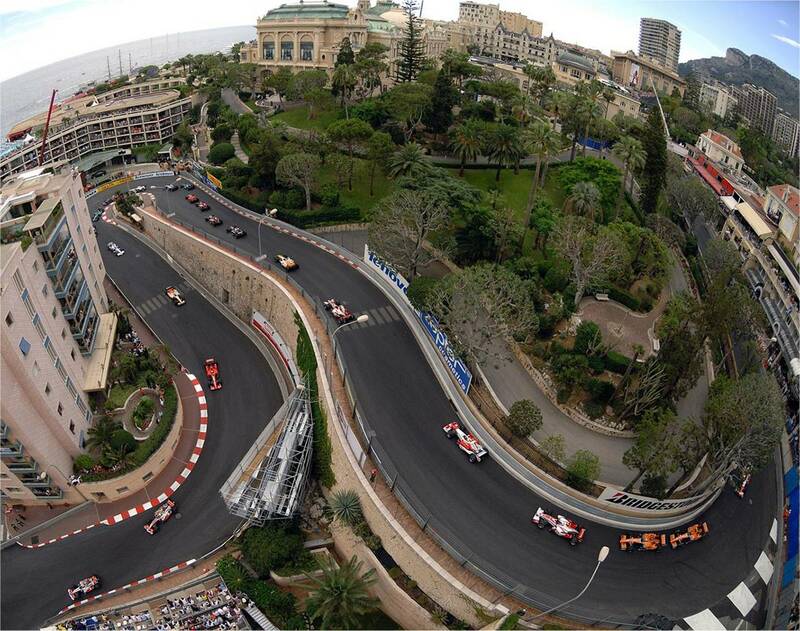 I choose the Monaco GP of course! Though the history and pageantry of this GP is without compare, the race is often boring – but not this year! The Red Bull driver, Sebastien Vettel, ended up at the finish line first in an action packed race which saw several drivers retired. 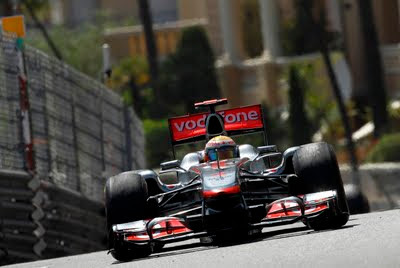 Alonso followed in second place in his Ferrari while Jenson Button claimed the final podium finish for McLaren. Vettel’s win can be attributed to a gamble late in the race choosing to stay on his same set of soft tires. Alonso and Button fought hard and were catching the Red Bull driver during those final few laps, and I am sure making the German think twice about his choice. But alas, where better to gamble than in Monte Carlo! Lap 68 was the most exciting lap of the race. 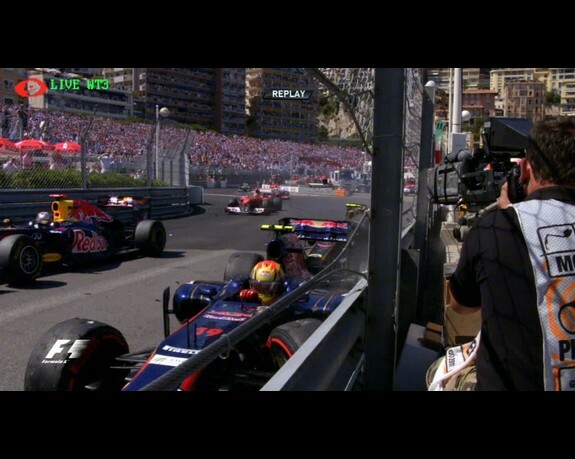 As the three leaders made their way through traffic the STR-Ferrari of Alguersuari made contact with a blue Renault sending it hard into the barrier. For a few moments it was unclear whether Vettel had been taken out. After the traffic had cleared, it turned out that Renault driver Vasily Petrov, running in 4th at the time, had hit the wall and that Vettel had maintained his lead. The subsequent red flag stopped the race allowing the Red Bull team to change out the German’s car and almost assuring the Red Bull driver the win. Vettel said. "The roulette button must have stopped last night and kept on spinning." Vettel, the defending champion, has had a remarkable season winning 5 of the 6 Grand Prix races this year. McLaren’s Lewis Hamilton was the only other driver to win this year in China. Vettel increased his championship lead to 58 points ahead of Hamilton. 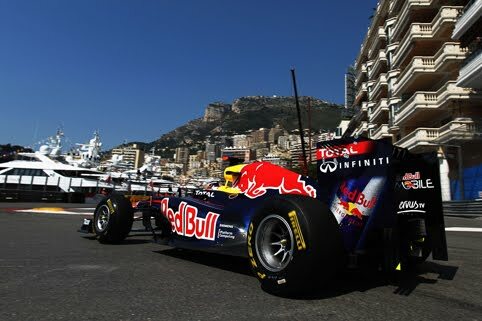 Mark Webber follows 6 points behind with Button and Alonso rounding the top 5. 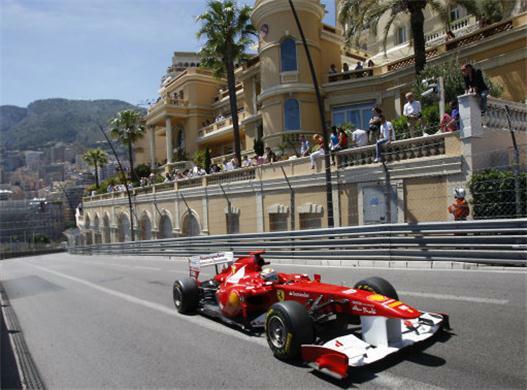 The year is turning out to be a tough one for Ferrari with Alonso’s second place finish at Monaco the best of the year. If not for Petrov’s late crash, it could have been a win for the prancing horse, but that was not to be. “Immediately after the race, I said the fight for the title was getting ever more difficult, not to say impossible,” Alonso said in his Ferrari website blog. “Sure, if Vettel ends up winning a race in which we felt there was a chance of victory, then you get a feeling of disappointment, but that does not mean we will not continue working hard at the track and back home on developing the car. Clearly the gap in the championship is widening all the time. We can do the maths, but neither myself nor the team are used to throwing in the towel.